Nom, noms! 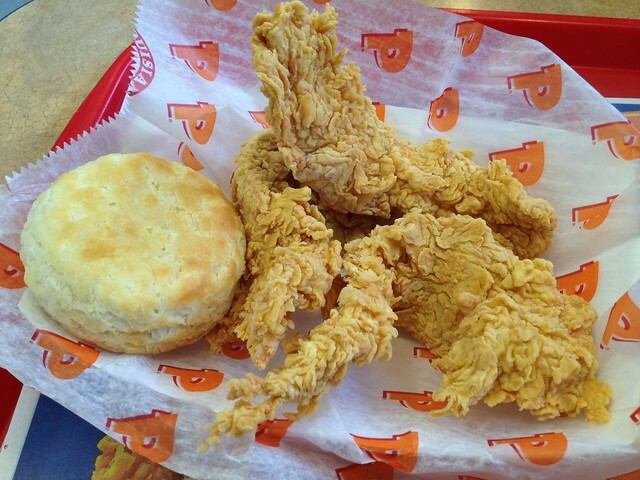 I love Popeyes. I crave it once in a while and have to get my fix. Their chicken tenders are much larger than those at most fast food chains and that’s probably why they cost a bit more. But they’re SO worth it! 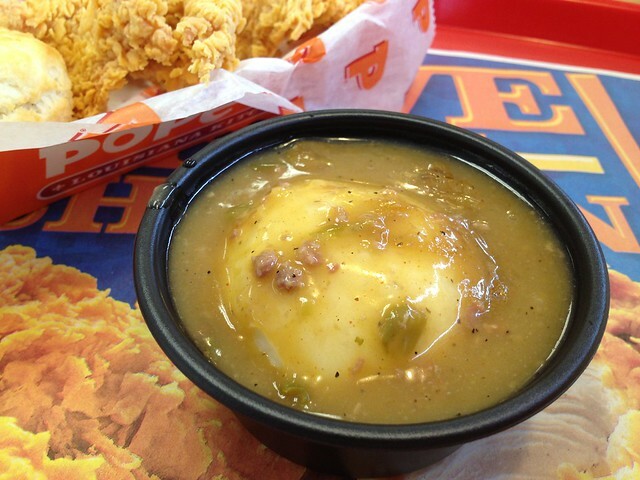 And their mashed potatoes with cajun gravy is my absolute fast food favorite! I love the horrible-for-you-tasting gravy with the gristly bits, lol. This entry was posted in Fast Food, Popeyes Louisiana Kitchen and tagged biscuit, chicken, gravy, potato, soda by vicentesf. Bookmark the permalink. Ahhhhh!! 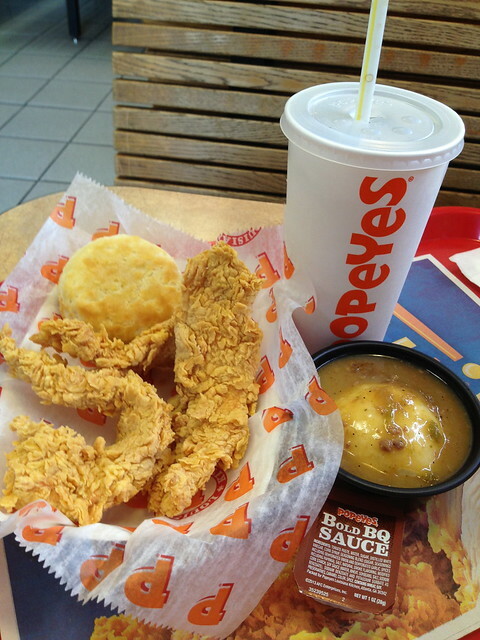 I love popeye’s! Except it is totally off limits right now due to the whole30… So tempting! Wow, that’s dedication! I’m thinking about doing a short juice cleanse next month. I’ve never done one before so it should be interesting. Those are really fun!! Try a one day first, is my suggestion 🙂 good luck! I really want to try this meal! I guess the only fast food I had when I was in Australia a while back was an Aussie burger from Burger King. I wasn’t a fan, lol! I’ve recently had a similar burger from the fancy New Zealnd pop-up restaurant here in SF for the America’s Cup, and it was delicious. It had beets, a sunny-side-up egg, blue cheese, and cheddar cheese, NOMS! Yeah, that’s one reason why Americans are larger than other – we have lots of junk food to choose from. 😉 That’s also why I’m addicted to the gym! I really want to try Jazz City Diner. Root Beer Float. Yes please! Oh my gosh. I’ve been meaning to try as well! Cotton candy, fried chicken and waffles? Soooo there!